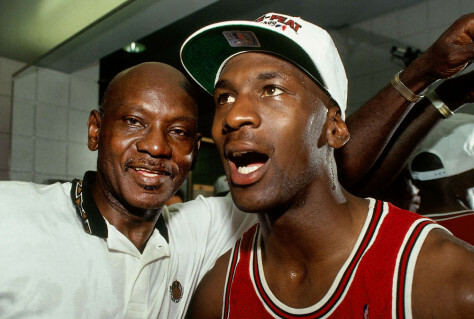 Michael Jordan, #23 of the Chicago Bulls, celebrates winning the NBA Championship with his father after Game Six of the 1993 NBA Finals. Jordan's father was killed in 1993 and two men were sentenced to life in prison. The criminal case is among 190 that could be re-examined for possible state crime lab errors.